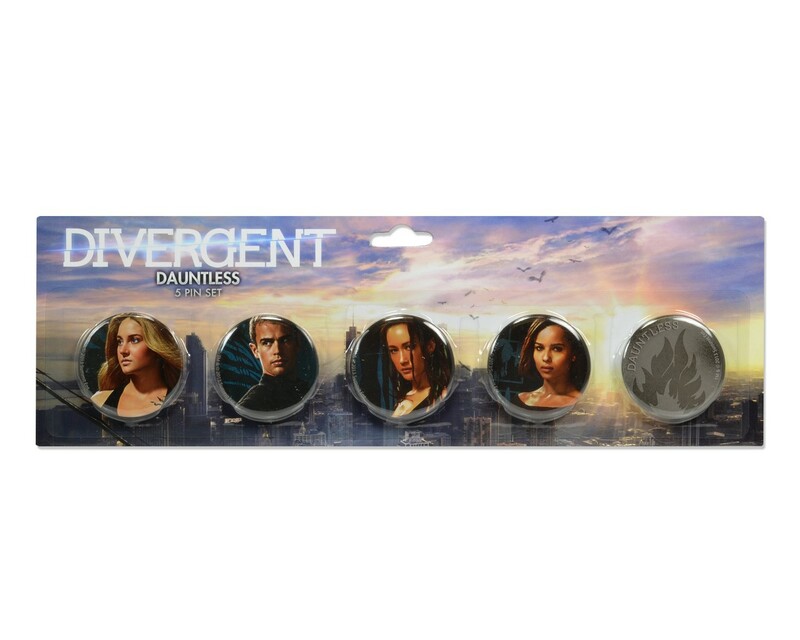 Straight from the highly anticipated Divergent movie! 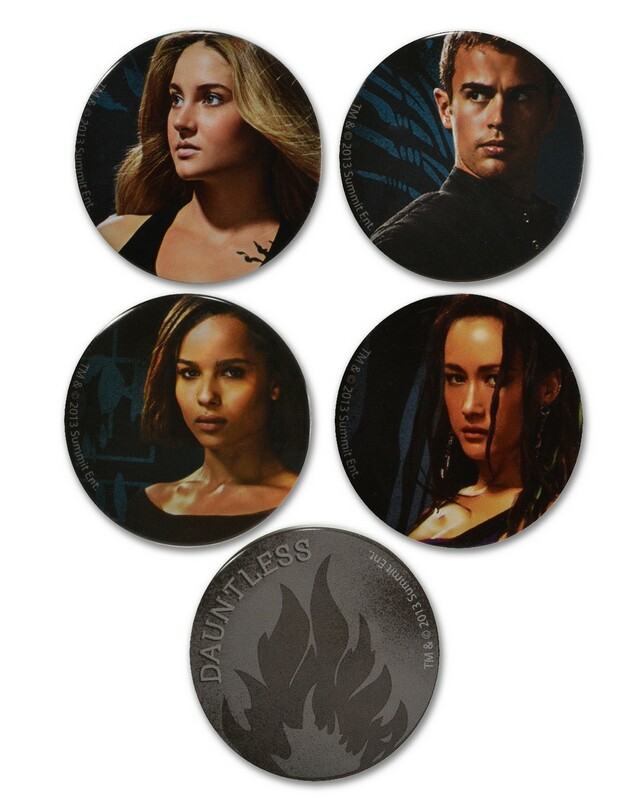 This pin set features character art of Tris, Four, Tori, and Christina, plus the Dauntless faction symbol. There are 5 pins in the set — perfect for back to school, decorating lanyards, anything! Each measures about 1.75″ across.